For a small population and geographical location Hong Kong cranks out a high volume of films. It's not just the Bruce Lee and Jackie Chan Kung Fu variety or the occasional artistic film that reaches the U.S., like Crouching Tiger, Hidden Dragon. It's a wide range of drama to comedy, arthouse to big budget. The industry has its own critically acclaimed directors and red carpet stars and production history dating back to the 1950s. Hong Kong's Movie "Golden Age" was during the early 1990s when directors like John Woo emerged and created films with engaging storylines, dynamic actors, and visually stunning cinematography. Movie production reached an all-time high in 1993 when a record 238 local films appeared in theaters. A myriad of factors from the 1997 Asian Financial crisis to increased piracy in the digital age to higher costs and fewer quality scripts reduced the number of annual productions significantly to the current total of 40-50 per year. As many of half of the Hong Kong films are co-productions with China as Hong Kong has to jump through the same foreign distribution hoops as its Hollywood counterparts. Hong Kong also releases international films - it’s common to see a popular American or Japanese film advertised in a metro station. Over 250 international films released in Hong Kong each year. In more recent years it has been Hollywood Blockbusters such as the Marvel superheroes series, Transformers, and Interstellar that comprise Hong Kong’s Top Ten Box Office Receipt lists. International comedies and dramas tend to do poorly, if they are even released at all. Total 2014 Box Office receipts were $1,625M HKD ~$210M USD. As of February 2014, there were 47 cinemas in Hong Kong. The major cinemas are United Artists, Broadway Circuit, MCL, AMC, Golden Harvest and Newport. Theaters can be non-descript from the outside appearance - with limited space on the islands, you will not find any twenty-screen megaplexes. Theaters tend to have four to five screens and are “buried” on the upper levels of malls and throughout Hong Kong’s residential areas. Major Industry Events include the Hong Kong International Film Festival, held in March, and the Hong Kong Film Awards, the Oscars of Hong Kong, held in April. 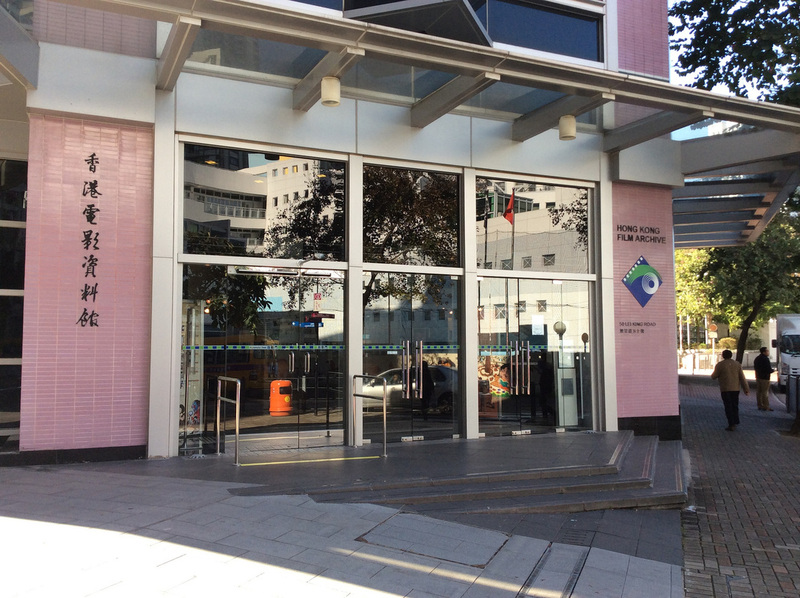 The Hong Kong Film Archive, located in Sai Wan Ho, is dedicated to preserving and showcasing Hong Kong’s film history. The Archive has a few screening rooms and a display area dedicated to the career of Run Run Shaw and his brothers. While Hollywood had multiple moguls (Jack Warner, Samuel Goldywn, etc.) during it’s heyday, Hong Kong and most Chinese Asia had only one - Run Run Shaw and his brothers. The brothers owned several movie theaters throughout Asia and Run Run expanded the business into film production where his ability to create quality films pleased local audiences for decades. Shaw Moviecity, one of Run Run’s last major projects, still produces movies today. I found a list of 100 Best Hong Kong Films, and while the intention is not to watch them all, I plan to at least cover a wide spectrum, even a sampling of a few of the opera style films. Below is a running summary of the films I’ve viewed, most of which are available on YouTube - sometimes dubbed, sometimes with sub-titles. An arthouse film from 1994, Chungking Express captures Hong Kong like few other films. The film is two completely separate love stories with the only common theme that both males are heartbroken cops who has just been dumped. Hong Kong is essential to the plot and various sides and life of the city are shown. In other films, Hong Kong is simply the setting, where the film is shot, and not essential to the story line. The stories are a little quirky and can be tough to follow, particularly if you don't know how the film is organized before you start, but the city scenes make this a great introductory film to Hong Kong life. In short, this film was remade in the US as The Departed. In both countries the film was considered a critical and box office success and makes a few Top Ten All Time lists in Hong Kong. The Hong along version runs about thirty minutes less - there's not as much mystery or character development and a few scenes are "explained" rather than the subtlety of the U.S. version. There's is also a slightly different, Confucian / Buddhist ending that fits more in line with Hong Kong's cultural leanings than The Departed's final twist. It's a good introductory film to the HK scene, the only thing holding back the film, was the crime boss seemed too comical, not as threatening as what Jack Nicholson brought to the role. One of Jackie Chan's early films and his first major box office success - watching his choreographed fighting and demeanor it's no surprise he became a star. Chan's character is a young, arrogant Kung Fu student and the son of one of the most respected men in town. When Chan brings shame to the family name (through a relatively minor offense) his father sends him off to train with So High, who's not only renowned for his Kung fu skills but also his intense and unorthodox training styles. Chan eventually has a coming of age moment and learns So High's techniques. Overall the story line is a little weak; there's a strong Gillian but his motives and story line aren't too developed. It's clear this movie served as an inspiration for the karate kid, particularly the training sequences (although Karate Kid adapts for Southern California) and it's missing the sappy love story, and defined villian. Lots and lots of fighting and you can see how chan developed his craft over the years to expand the routines and stunts. Rome, Nunchakus, and Chuck Norris. An odd Hong Kong film in that it takes place entirely in Rome - a Chinese restaurant is having trouble operating and the mafia wants tribute payments...enter Bruce Lee to act as the restaurants body guards. A few kicks, escalates to a few more kicks, and enter Chuck Norris for a final show down in the Colosseum. It's an amazingly simple movie shot in just a few settings and the fight sequences showcase Bruce Lee's fighting ability. Watching Jackie Chan's Drunken Master you can see how he modernized the Kung Fu movie style, although the formulaic fight, increased outrage, fight format of The Way of the Dragon works because of Bruce Lee's presence. Much in the same way you can tell Chan is a star even though his voice is dubbed and it's a non-western story, the same can be said of Bruce Lee in The Way of the Dragon. Even though the character is quiet, he has charisma and you know you are watching the best as each scene unfolds. This film is much more action packed than the more stylistic and simple The Way of the Dragon. It's a big budget film, produced by Warner Brothers and was a box office success that introduced Bruce Lee to mainstream audiences. Unfortunately Lee died weeks before the U.S. Release at the age of 32. The film's premise is quite simple...a drug overlord lives on a private island outside of law enforcement jurisdiction...he hosts a major karate tournament...Bruce Lee is selected to go undercover and learn about the operations. There's not much more to it. There are a couple great shots of Hong Kong...most notably Aberdeen harbor with hundreds of boats. Other landmarks include Tsing Shan Monastery, Chung Ching Koon Temple, and King Yin Lei serving as backdrops. Han's Island is Kau Yi Chau, which sits in between Lantua and Hong Kong islands. A John woo film with Chow Yun Fat starring as a Triad assassin with a conscience. He laments with another assassin that the Triad's code of honor and ethics no longer applies in today's modern society. In the opening sequence Chows character inadvertently blinds a woman during an assassination. He spends the rest of the film trying to find money to restore her eyesight. A cop trying to solve a related case identifies Chow as the main suspect and during his investigation learns to appreciate Chow's code. The cop starts respect the good assassin and despite multiple encounters fails to follow through with any arrests. The film makes good use of Hong Kong's islands and hills and the Dragon Boat Festival works it's way into the script. A Stephen Chow comedy that involves a group of former Kung Fu students, each with a special master skill. The students have struggled to adapt to modern life and are down on their luck in life - they agree to form a soccer team and hopefully reverse their fortunes. They hope the soccer teams' success will all Kung Fu to again gain prominence in Hong Kong / Chinese society. Chow started his career in the buddy cop comedy, Curry and Pepper, and is also known for,my personal favorite Kung Fu Hustle - both of which are superior films. Shaolin Soccer has some comedic and interesting CGI elements but lacks a developed story, particularly a strong villain. The bad guy in this film is hardly featured and doesn't even have a rivalry with Chow's character. It's a great idea / movie concept but that's as far as it goes.